Home › McKinney Pediatric Dentistry › McKinney Pediatric Dentistry celebrates another birthday here in the office! 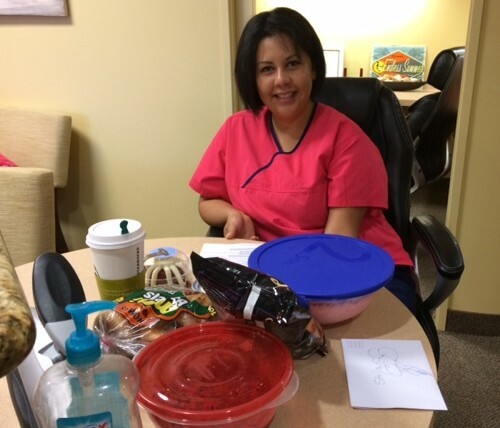 One of our dental assistants, Stella, celebrated her birthday here in the dental office with us! 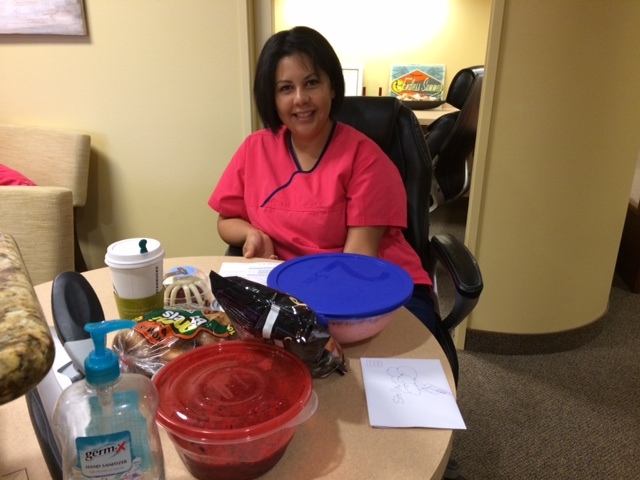 Our wonderful staff put together a fun birthday breakfast for all of us to enjoy this morning with lots of good homemade treats. What a great way to start the day! All of us here at McKinney Pediatric Dentistry agree that it is impossible to go through a whole day without getting caught up in one of Stella’s hilarious jokes or her very infectious laugh! Stella’s kind heart and incredible sense of humor has a way of making every child’s visit a fun and positive experience! She can definitely turn a frown upside down! While she has been a member of our team for just one year, she has many years of experience working as a dental assistant for children! We are so blessed to have Stella on our team and couldn’t thank her enough for all of the hard work and dedication that she puts into each day here at McKinney Pediatric Dentistry! She truly has a heart of gold! !